Are you ready to grab the power of the internet using this attraction marketing book as a guide? It’s time to learn how successful home business works and stop getting in your own way. The best way to accomplish this is to master attraction marketing. Attraction Marketing is marketing in such a way that you attract people to you because you have the solutions they are looking for. When you can truly learn and embrace this strategy, you will find your home business works. At last! 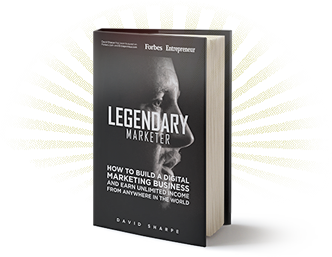 One of the best attraction marketing books out there is The Legendary Marketer by Dave Sharpe. It’s a quick read to immediately put on your must-read list. So, let’s walk through the book, chapter by chapter, and see whether you resonate with the content. Of course, you could also purchase the book right HERE to learn exactly how home business works. The “new” poor is described as people who can’t use the internet. You need to get proficient with what’s going on in social media or you’ll be left behind. So, on the flip side, the computer and internet savvy are becoming the new rich. Consider how people consume internet content: googling things rather than calling mom or dad for the “how to” speech or ending up on a website and buying what you need instead of running to the store. Are you going to be ahead of the curve and prospering with a home business that works? First, understand why people fail at anything. It’s not for lack of trying (assuming they did actually try). The reason most people fail is LACK of action, that is failing to follow through. For example, you buy the workout equipment, suit yourself up nicely with great workout clothes and shoes, but then it sits in the corner acquiring dust or being used as a closet for hanging clothes. So, you can pretty much guess the secret and you’ll read how you can implement it. Are you coachable? Are you ready to implement what’s being prescribed? It’s like taking your medicine, you do it and you get better. It’s the same with learning and growing your business. Listen and follow the directions you are given, and you will be able to avoid failure. There are so many ways to make a million dollars. For instance, you can sell one million lemonades for a buck at a lemonade stand. That’s a lot of lemonades. This illustrates why high-ticket items are good to have in your portfolio. This attraction marketing book describes the 3 things you must have (the chapter title says “do”, and there is action involved here, but you need to “have” these things in place). For your business to succeed you need (1) quality traffic, in other words eyeballs on your offer, (2) high converting sales funnel(s) to capture people’s information, and (3) a great value ladder. This chapter provides lots of helpful examples to illustrate. Having a digital business is a beautiful thing because you don’t have to house inventory. The products are available immediately so there is instant gratification for your customers. As with any of the business models you have components that interact within your business. This attraction marketing book talks about the relationship between your (1) product (what you’re passionate about), (2) sales and marketing (how you’re going to share with your market); and (3) your system (the platform you use should be duplicatable and simple). This section offers guidance and shortcuts to help ensure your home business works. It also points out problems you can avoid because the author has already solved them and is passing along the short version to you. As Dave points out, “selling digital products becomes very advantageous from a business perspective and aligns perfectly with what students and consumers today are looking for.” This chapter is full of great tips and insights. We’ve heard it over and over again, “it’s just not fair.” People often compare themselves to others in this profession and wonder what they are doing wrong. Everyone is at a different place in their journey, and it’s important to remember that. In this chapter, you’ll learn more about a program we are involved with because of what we’ve learned from this book as well as other trusted marketing friends and mentors. You will see the benefits of the tools this attraction marketing book suggests as well as the plan to make sure your home business works. Working together we can do way more than we could ever do on our own. The unfair advantage is that you too can take advantage of professional quality lead magnets, sales funnels, etc. Read more about this great opportunity. You don’t have to go it alone! Shrink your learning curve to the size of a pea! Do not skip this chapter. It could change your life. Every marketer I know has asked and continues to ask this question. When your only job is to drive traffic, you want to get as good at it as you can. This chapter in the attraction marketing book does just that. 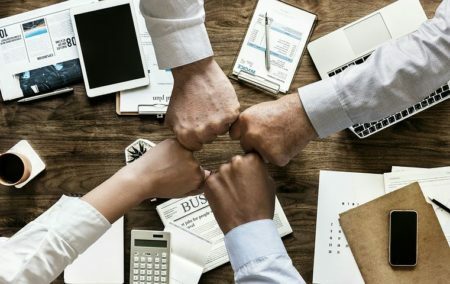 Everybody wins when you can drive good quality leads to your opportunity: the lead, you, and the company, especially when the lead becomes a partner. So, do you want to learn how you are going to make your first $100K? Wouldn’t that prove your home business works? In this chapter you’ll investigate back end sales, where the big money is. You’ll learn about break-even funnels and how to use them. This is helpful stuff to understand how the system works. Understanding this concept is critical for your home business success. How do you collect all your commissions now? Your home business works because money goes into the bank somehow. Maybe you’re using PayPal. It’s a common merchant account. Some companies have their own merchant accounts, and they have been known to fail, go down at the worst possible moment, etc. What if someone returns an item (heaven forbid)? Charge-backs can be another nightmare all together. What if you didn’t have to worry about the money handling? Dave Sharpe’s business has a great system in place. You’ll learn more about it in this chapter. Good marketing generates a lead. Good sales strategy (or closing) converts that lead into a customer. To begin, this chapter presents some interesting statistics that might open your eyes about how your home business works. You’ve heard about the “unfair advantage” you could implement. It gives access to a professional team who will follow up as many times as is necessary to create a conversion for you. This is an insanely valuable asset that puts you light years ahead of the competition. Think how helpful this could be for you and for anyone you talk to that is just getting started in this business. It’s part of the learning curve you don’t have to worry about. You know your home business works when you have people engaging with you and then either joining your team or buying and consuming your products. At some point, you need to become selective. You want to make sure the people working with you are really focused and as driven as you are in your business. We appreciate the core principles this attraction marketing book and Dave’s team stand on. You’ll hear in the chapter about (1) integrity (doing the right thing all the time) (2) longevity & sustainability (the “no-fizzle out” zone); (3) vision (you need to know where you’re going); and (4) solutions (don’t dwell on problems, fix them). Those are principles we stand on as well. We are looking for people that resonate with this and aspire to this level of greatness. Why do people choke when it comes to taking out their credit card? You go out for dinner and don’t think a thing about spending money. Well, maybe you do a little bit, but you still pay the bill. You’ve nourished yourself for one meal. How about nourishing your business for your lifetime? People need to realize they are never going to get those things they dream of without making a change to get there. 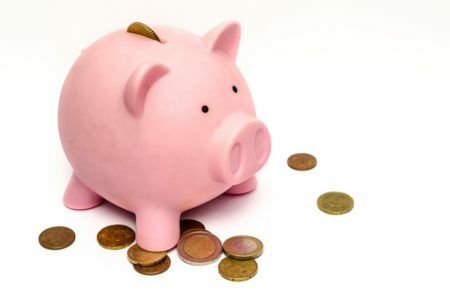 The biggest excuse that people use that is holding them back is “no money.” We hear it every day. Yet, many of the top earners we hear on stage have a rags-to-riches story. They didn’t have money either…once upon a time. 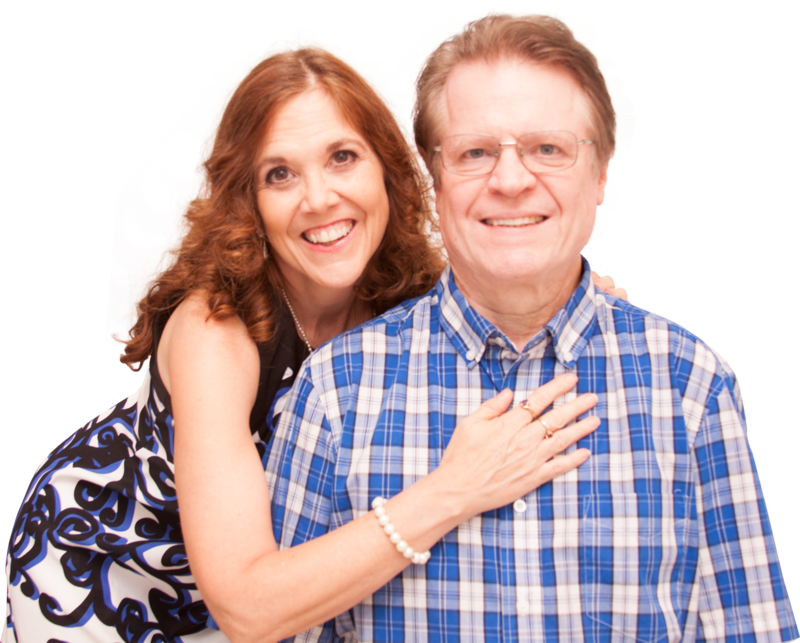 But they invested in their dreams, worked hard, and learned how a successful home business works. This chapter in the attraction marketing book really digs in to get you thinking. So, what is a digital database? It’s your list of email leads you have acquired and that you grow on a regular basis. This is an asset. It becomes a long-term source of income for you in your business. Let me ask you … Would you like to be able to pay once, and after that, get free traﬃc for life? That’s essentially what happens when you build an email list. These are not just random leads you buy from some broker, but real people who respond to your offer, asking for more information. They are your contacts for life, and they will buy from you repeatedly. 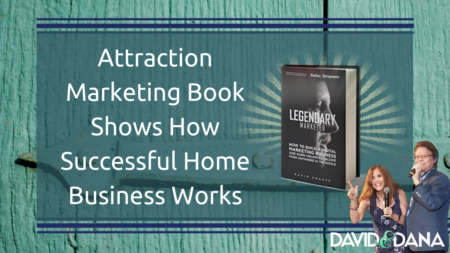 Dave Sharpe’s attraction marketing book, Legendary Marketer, will teach you to be a better marketer. As a special “limited time bonus,” this book comes with a FREE video series taught by Dave himself to enhance your business skills and open your eyes to this new way of doing business. 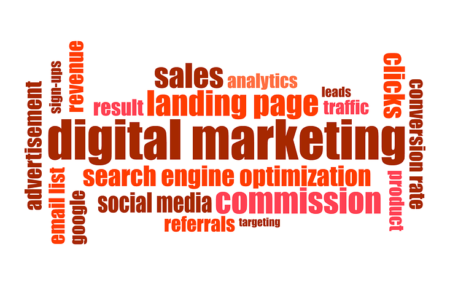 Dave also offers to connect you with a live coach experienced with online marketing who can answer your questions. How many times have you gotten a book with such extra perks? Finally, you could even consider partnering with us to realize your goals and dreams. When you capture the vision and can portray that to your audience, you will have them coming to you in droves because they are watching how your home business works. Leave a comment here if you found this overview helpful. Share this article with people you know who are also looking for an opportunity to really crush their income goal. 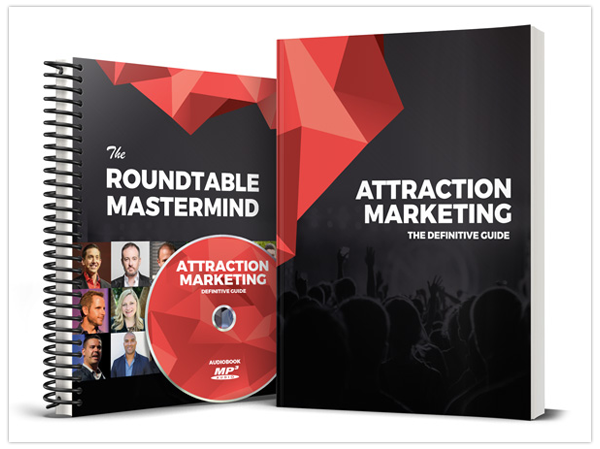 To pick up your copy of this attraction marketing book, CLICK HERE. You’ll soon find out how the system works and be able to decide if you want to get it started for you own business portfolio.